Racecourse Guest House01291 620451work Guest HouseAward Winning Superior Guest House Accommodation in the heart of Chepstow. Racecourse Guesthouse offers the perfect retreat for business or leisure. Conveniently located in Chepstow, easily accessible, within minutes form the M48, M4 & M5 motorways. Superior accommodation with service to match, we're the ideal place to stay when you next visit. Our award winning superior accommodation provides guests with extras as standard. With a range of rooms we’re able to accommodate reservations for individuals, couples and small groups. The York Room at Racecourse Guesthouse, Chepstow sleeps a maximum of 3 and is inclusive of it's own en-suite bathroom. Award Winning Superior Guest House Accommodation in the heart of Chepstow. 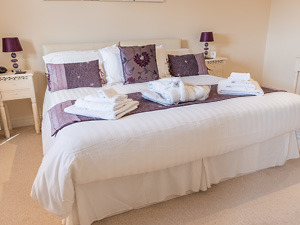 Racecourse Guesthouse offers the perfect retreat for business or leisure. Conveniently located in Chepstow, easily accessible, within minutes form the M48, M4 & M5 motorways. Superior accommodation with service to match, we're the ideal place to stay when you next visit. Our award winning superior accommodation provides guests with extras as standard. With a range of rooms we’re able to accommodate reservations for individuals, couples and small groups. Children welcome from any age.